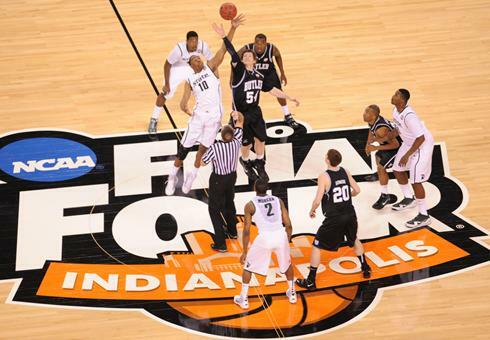 Fab Melo will miss the rest of the NCAA Tournament due to academic issues. 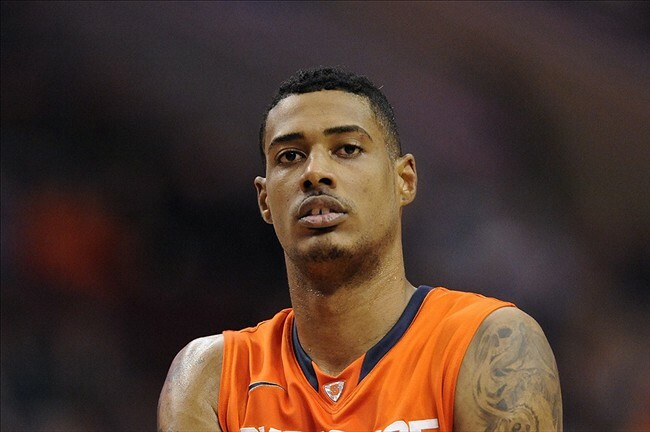 Yesterday afternoon as Syracuse University Men’s basketball team was headed to Pittsburgh for the first round of the NCAA Tournament reports broke that star center, Fab Melo was not aboard. The reasoning, no one knows completely as it’s just all speculation however, a close source told ESPN that it was due to Melo’s academics. Now this isn’t the first time that we’ve seen Melo out of the Syracuse line-up as in late January of this year he missed three games that were against Notre Dame, Cincinnati, and West Virginia. The Orange went 2-1 in that stretch, the loss coming from Notre Dame (67-58) which happened to be the Orange’s first loss of the season. They averaged 60.3 points a game during that stretch, which was 14.2 points per game less than their overall average with Melo in the line-up (74.6). Though, that’s not all that decreased during the absence of Melo as both the Orange’s rebounding and blocks a game decreased drastically. 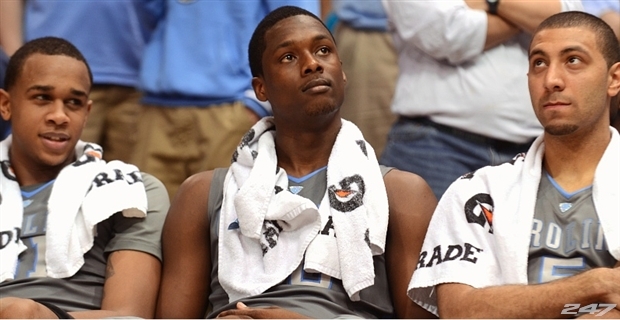 Going from 35.3 rebounds a game to 26.7 rebounds a game and going from 7 blocks a game to just 3.3 a game. Though while the reasoning for Melo’s suspension is realistically his fault, as it’s his grades and his academic problems, but does that really give fans the right to be angered by his poor grades? No it doesn’t. I mean looking at it from his eyes and not from the un-supportive Syracuse fans that they’re, how difficult do you really think it is for him? I mean coming from another country (Brazil) and switching languages (Portuguese to English) and going to a school whose students’ average GPA is a 3.6 is very hard to do. Now I do understand that Melo went to a private school, Sagemont High School located in Weston, Florida, however he only went their for two years (playing for them just one year due to transfer rules). So for people to say that he’s “dumb,” “stupid,” “an idiot,” or other degrading comments such as those, is just wrong. I’d like to see those people go to Brazil, or China, or any other country really and try to succeed in one of those College Systems, I bet they would struggle too. Continuing with that, I bet some of the people that are saying the degrading comments aimed towards Melo probably wouldn’t even be able to handle Syracuse University despite knowing the English language and being a United States citizen. In addition to that keep in mind that Melo wasn’t just a student, but a student athlete as well. So that person attending the University would have to handle both his grades and a division one sport which can take a toll on any athlete, let alone an athlete from another country. Though, what about the language that the sentence is in, could you at least tell me that? It’s Portuguese. Easy right? Though, not easy if you don’t know the language. Will Jim Tressel Have Any Say In The University of Akron’s Football Program? 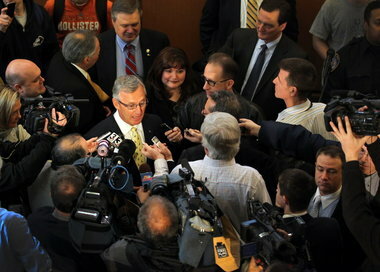 Jim Tressel surrounded by media members. After being forced to resign last May due to a cash-for-tattoos scandal at Ohio State that destroyed the football powerhouse, former Buckeyes head coach Jim Tressel was introduced Thursday as Akron’s new vice president of strategic engagement, a position created just for him. Now this isn’t Tressel’s first time at Akron University as he worked as an undergraduate assistant for the Zips in 1975 until eventually being promoted to an assistant for the Zips and then moving onto the University of Miami Ohio in 1979. Tressel stressed during the press conference that he’s not going to be doing any type of coaching of that sort as he emphasized that his days were done…at least for now. However that doesn’t mean that he won’t be involved with students as he’ll work with Akron’s current and future students, alumni and community organizations on a various issues. Though this position of vice president of strategic engagement, which was created just for him seems a little fishy, as even though he claims that he won’t help the football program in anyway, one could just not believe that as he was the one who helped the program find their head coach this off-season. The NCAA would also add that Tressel cannot engage in coaching duties for the first five weeks at a new institution and in the postseason. Though like every thing in life there’s always another way around it, a “loophole” and the University of Akron found one. What the NCAA didn’t say and cannot say was that Tressel can’t have talks with the players, coaches, and other athletes. Which would mean that he could have contact with recruits however, only when they’re visiting the campus. Continuing with that, Tressel is allowed to have contact with coaches or current athletes, or he’s even allowed to attend football practices or provide advice on how to improve the program. So Tressel may say that he’s not ready to coach again, but trust me he is. Now I’m not saying that he’s going to be the head coach or that Bowden won’t have a say but, I mean, Vice President of Strategic Engagement? A position that they created for him, of course he’s going to help out the football team. Matter of fact he already did; he got them a new head coach in Terry Bowden, he got them worldwide attention with his addition to the University staff, and most importantly he just put the University of Akron on the map. Bernie Fine has been at Syracuse University since 1963. Bernie Fine started his coaching career with Syracuse University in 1963 as the team’s student manager. Fine would go onto graduate in 1967 with B.S. in personnel and industrial relations. Though that wouldn’t be the last of Syracuse as in 1976 when Jim Boeheim became the head coach he hired Fine as of his assistants. Fast forward 35 years later assistant head coach Bernie Fine is being accused of molesting two former ball boys and is on a leave of absence that was handed out by the University. The two alleged victims are Bobby Davis, who’s now 39, and Mike Lang, now 45. Davis told Outside the Lines that Fine had been molesting him since 1984, on road trips, at Fine’s house, and hotel rooms. As for Lang he told Outside the Lines that Fine had been molesting him since he was in sixth grade. This is the second incident revolving molestation charge from an NCAA coach within a week’s span, as news broke last week about Penn State defensive coordinator Jerry Sandusky. Sandusky was accused of molesting several young boys. Which is why this really brings to the conclusion as if this allegation is really true or not? Because Davis told police officials in 2003 about the molestation incidents, however they ignored it as there wasn’t enough evidence. Though eight years later, Davis isn’t giving up as he now has a witness; his step brother, Mike Lang. Despite adding another witness, the story just doesn’t fit, because why would Lang in 2003 come to the police officials and not bring Lang with him as well? Also too, why did they pick now to come out? Because it’s a perfect time; our society is still in shock from the whole Penn State incident and is still trying to recover from it. So now Davis comes out during this time and looks like another victim that was scared like the others and gets away with it too. Lastly, in the interview with Outside the Lines both Davis and Lang took very long to respond to the simple questions about when it happened and where it happened. They paused several times in efforts to think and used several “ums” showing that they were nervous and pretty much lying. Let’s be honest if you suffered through such a “horrible experience” as they claim that they did, don’t you think that you would remember every single detail, every single second, the time that it happened, and how old you were?